Every year there is an overweight of young men who get injured by fireworks in Denmark. In 2016 more than 50% of the serious fire works related injuries were boys under 15 years old. Most often by lack of eye protection or careless handling of firework. But how do you ensure that teenage boys all over Denmark are not only exposed to your message but also listen something as seemingly uncool as safety precautions? The Danish Safety Technology Authority teamed up with Gonzo Media to create a influencer driven campaign at eye-level with the audience. Gonzo Media designed a storyline together with two of Denmark’s most popular YouTube stars: Gex and Alexander Husum. But instead of warnings and raised fingers, Gex and Alexander Husum made two videos with a different approach where they showed concrete recommendations to safety and how bad it can go if you are careless with fireworks. With the help of an ambulance and explosive expert Gonzo Media told the fictional account of how Gex looses his fingers, and his subsequent awkward new year’s party with no hands. The two videos were part of a broader safety campaign with Instagram posts and an advanced paid media campaign across SnapChat, Instagram and YouTube designed by Gonzo Media. The Danish Safety Technology Authority also used VR experiences, Snapchat filters and PR in supplement to Gonzo Medias content. The two YouTube videos were received very well amongst the target audience right away. 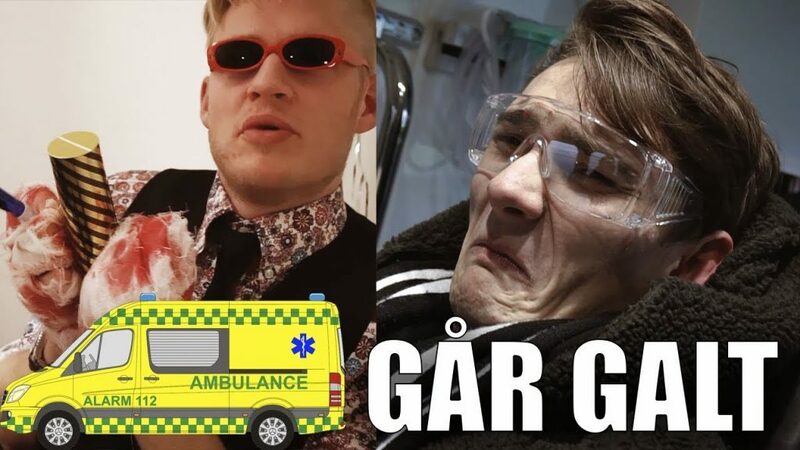 Both videos peaked the Trending list on Danish YouTube - and in total, the videos collected over 360,000 views. At the same time short video ads were posted on Snapchat and YouTube and they reached nearly 1.4 million impressions - nearly 600,000 more than estimated due to strategic purchases via Gonzo Media's retargeting lists. Including the above, as well as Gex and Husum Instagram posts, the campaign generated more than 3 million impressions across Instagram, YouTube and Snapchat. But more importantly, the campaign created a lot of dialogue within the target group. Many of the young followers even shared their own experiences with dangerous fireworks at Husum's and Gex's posts - and encouraged each other to take care. However, as part of the campaign rollout, the Sikkerhedsstyrelsen also shared the video with school leaders throughout the country, and as a result many parents and teachers throughout Denmark have watched the video together with their children and students up to the new year. After the campaign, many teachers have returned enthusiastic about the content and format because of equal entertainment and enlightenment, which has caught the attention of the young people. According to a school leader who works with vulnerable young people, and has watched the videos with them up to the New Year, says it was "... a better way to learn about safety. Partly because it was famous YouTubers, so it's somebody they look forward to. And partly because of the way it is busy; It was fun, even if it was a serious subject. So, they prefer to get the message served like this. They also think that they can better understand that way "- Katja Hoffmeyer, Head of Department at Orøstrand School and Treatment Home. But most importantly - it seems that the young people have not only seen the campaign - but also listened. The Influencer campaign with Gonzo Media, Gex and Alexander Husum was part of a campaign setup, which also featured targeted promotional activities, a Snapchat filter and a VR video. Additionally, the number of fireworks accidents can also be due to both weather and wind and much more. Therefore, we will not take credit for anything other than the efforts of the two popular YouTube stars. We are just looking forward to seeing that the number of accidents among boys under 15 years decreased by 51.8% compared with last year.